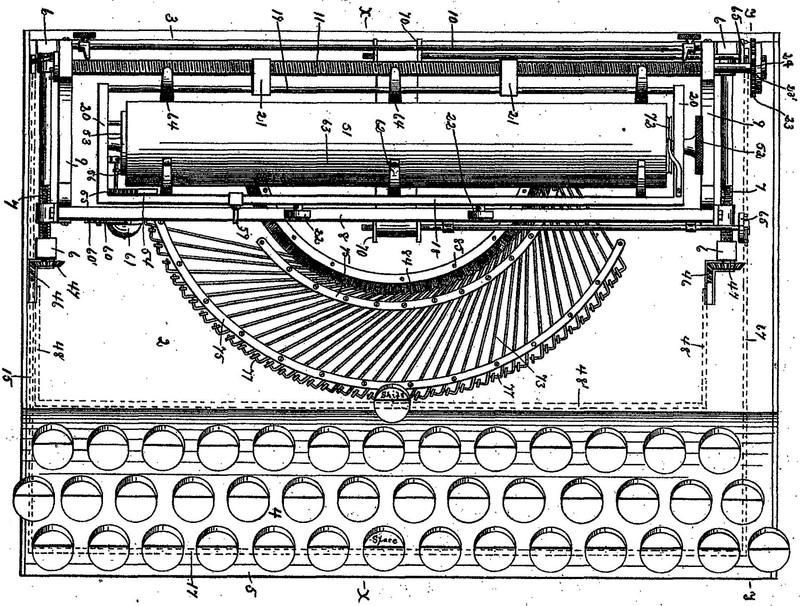 The Reverend Jeremiah Celdon Sinclair, of Ohio, made two attempts to invent a typewriter in the 1890s. 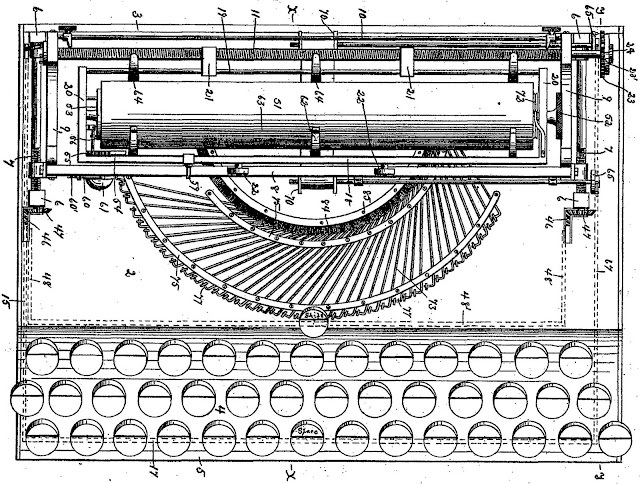 The first (below), for which he was issued with a patent on this day (December 12) in 1893, was an upstrike machine which was fairly unexceptional, apart from the odd, upturned keytops. 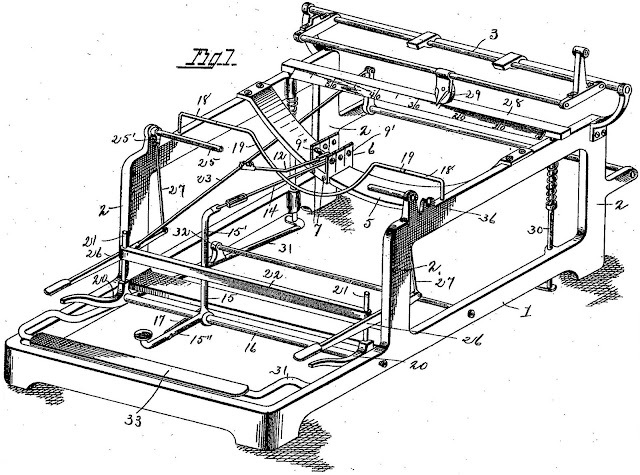 But the second (above), patented in 1897, showed much more advanced thinking. It was a thrust-action, visible writer. Jeremiah Celdon Sinclair was born in Woodsfield. Monroe, Ohio, on February 10, 1861, and died in Kenton, Hardin, Ohio, on December 20, 1935, aged 74. Sinclair’s first patent was half assigned to Homer Hood (born Liberty Township, Ohio, February 1850; died 1920s?) who in 1890, with his brother Aaron B. Hood, purchased the Toledo branch store of the Lovell Manufacturing Company of Erie, Pennsylvania.